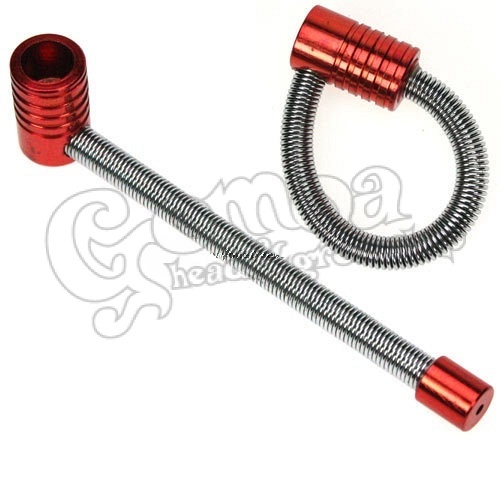 The Spring Pipe is designed to give you the manual cooling system. You simply take your hit and bend the spring appropriately to let in the right amount of air to cool down your toke. The bowl is also designed with heat extracting fins to assist to cooling process. This pipe is both fun to smoke through or as we have found, wicked to play with too!